Despite being less well-known than the other winter teams, the Grace fencing team boasts a healthy roster of 16 students. 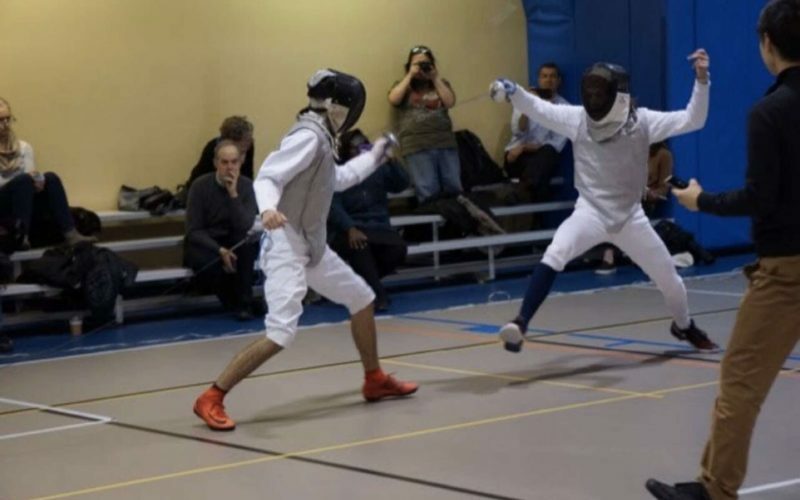 Coached by Khris White, a trainer at Fencers Club NYC, the team has been preparing for months for a rigorous competitive season that has arrived. As there are only 4 matches over the course of the season and they all occur in January and February, the team has a lengthy pre-season to prepare for their competitions. The last part of his quote was interesting because he underscored how the fencing team is not as popular as the other winter sports teams. As the captain in his last year at Grace, the students and athletic department owe it to him and the whole team to show lots of support and encouragement for their upcoming matches. The next match is the Fencing Championships at the Fencers Club NYC, and you can see the full schedule here. It is definitely exciting to hear that the fencing team is in line to have a really solid year with all of their practice and hard work hoping to pay off. We’ll see what 2019 has in store for Harry and his teammates of the Grace fencing team.